Absrtact: Ganoderma lucidum fermented tea was dried by two different drying equipments: hot air drying and microwave drying. The sensory evaluation of the fermented tea was carried out, and the chemical composition and antioxidant activity of the fermented tea were determined. The results showed that hot air drying and microwave drying equipment had certain effects on the sensory score, chemical composition and antioxidant ability of tea. The fermented tea dried by high temperature hot air drying and high microwave power had longer aroma and better taste. Under hot air drying, the fermented tea dried at 90 C retained more active ingredients, and the fermented tea dried at 80 C had higher antioxidant activity. Under microwave drying, fermented tea dried by 50W power has better retention of active ingredients and higher antioxidant activity. Bacterial tea is a new type of tea, which is produced by inoculating edible and medicinal fungi and fermenting with tea as the main culture medium and adding other auxiliary materials. In the course of metabolism, microorganisms such as large edible and medicinal fungi will produce various enzymes. The polysaccharides in tea are degraded to oligosaccharides. At the same time, it may increase the unique flavor of edible and medicinal fungi and produce new active ingredients for tea. Therefore, fungus tea has good health effects and is a new research topic in tea drinks. Researchers have developed different fermented tea by inoculating different strains of bacteria in tea. For example, after Zou Ligen mixed pollen in tea and fermented by inoculating basidiomycetes, a solid beverage of fleshy pollen tea has been developed. Lin Xinjian and others have inoculated Cordyceps sinensis, Poria cocos and Hericium erinaceus in tea to obtain health fermented tea with different medicinal fungi. Drying is a crucial step in tea processing. 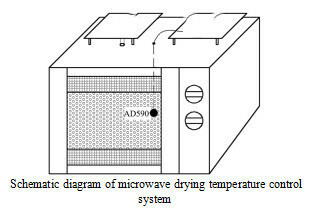 There are many ways of tea drying, such as hot air drying and microwave drying. Different drying conditions can cause different sensory qualities of tea, and also affect the antioxidant ability of tea. Researchers have found that many diseases in human body are related to free radicals. The intermediate products produced by oxidized free radicals can damage cell biofilm and cause abnormal biological function of living cells. The effects of different drying methods on the quality and antioxidant activity of Ganoderma lucidum fermented tea have not been reported. Therefore, in this study, Ganoderma lucidum strains were inoculated into tea, solid fermentation was carried out, sensory evaluation of fermented tea was carried out, and the quality and antioxidant activity of fermented tea were determined. The effects of drying methods on the quality and antioxidant activity of tea were discussed, so as to promote more new fermented tea. Meta-references.